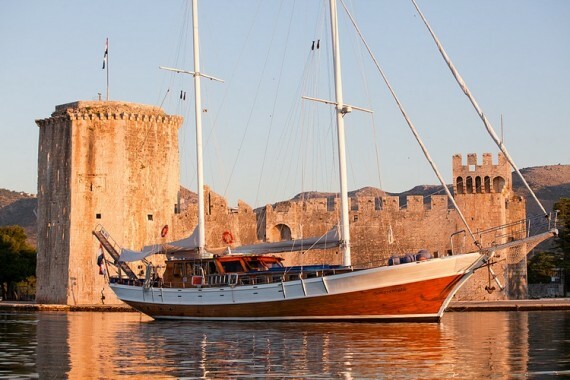 Delux Gulet Bonaventura is excellently equipped yacht and her main purpose is luxury cruising along the famous Dalmatian coast. Bonaventura is suitable for groups of up to 12 friends or family, with caring services provided by a Crew of three. While you enjoy your cruise, swimming and relaxing on board, and exploring small seaside villages ashore, your chef prepares delicious three course meals. The most popular gathering place at meal times is around the large table on the aft deck with seating for 12 guests. Forward the huge sun deck with 12 sunbathing mattresses is a popular place for lounging during the day. Each area is shaded with sun awnings. You can be as adventurous or as relaxed as you wish. The Captain and crew of Bonaventura will help you create your own day, whether you enjoy watersports or relaxing onboard, visiting archaeological sites and exploring ashore or enjoying the tastes of more traditional foods. Here you can find basic information about Gulet Bonaventura. Other specifications, can vary from boat to boat, therefore we recommend to search for particular Gulet Bonaventura from our database, in the destinations of your preference.